True Italian Table is about Italian restaurants in Denver, Colorado. Denver natives and third-generation Italians, brother and sister team Claudia and William Carbone are passionate about their heritage and always looking for the perfect plate of pasta. 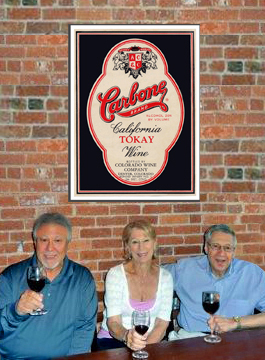 The history of the Carbone family and their passion for wine began many years ago in the sunny vineyards of southern Italy in the province of Avellino near Naples. With the vineyards in his family for several generations, patriarch Guiseppe Carbone was recognized as a wine authority. Around 1886, Giuseppe came to the United States to market his product but was killed in a train wreck somewhere on the east coast. Under Italian law at the time, the estate of a person who died without a will (as he did) went to the eldest son older than 21. Because Anthony, the eldest, was only 11, there was no one to inherit the vineyard and it went to the province of Avellino. Unable to support him, Anthony’s mother sent him to live with relatives in Boston in 1888 at the age of 12. Anthony became a barber and later an entrepreneur, investing in and developing real estate. Bad business decisions by a partner wiped him out, and he headed west in 1912. Deciding to stay in Denver rather than going on to California, his original destination, he began importing wines from Italy. When Colorado went dry, Anthony moved the business to Cheyenne. 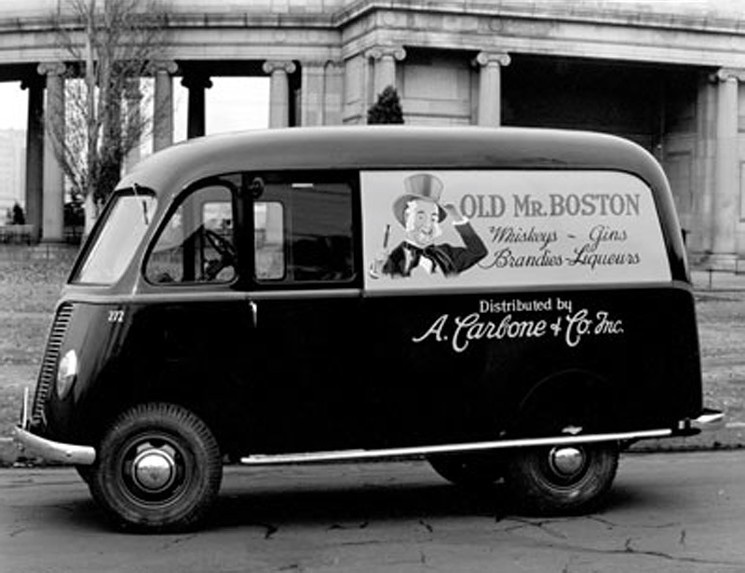 National prohibition ended that business, so he turned to importing olive oil and cheese, and finally, manufactured pasta under the family business name of A. Carbone & Company. In 1919, he purchased a facility on Wazee Street in Denver. Anthony Carbone died in 1930, leaving the company under the care of his sons, Giovanni (John), Arturo and Americo. Immediately following the repeal of prohibition in 1933, A. Carbone & Company returned to the business of wine and became the first bonded winery in Colorado under the label “CARBONE WINES.” As president of the company, John Carbone wanted to go beyond the resale of wine and liquors. His vision was to bring a new industry to the mountain states through preparing and bottling wines in Colorado. As a government- recognized winery, A. Carbone & Company had full authority to make and fortify wines. It purchased bulk wine from California and then transported it via sterilized railway tank cars to the plant in Denver. The wine was then stored in large redwood tanks until it was time to bottle. The facility had a bottling capacity of 20,000 cases per month and a cooperage capacity of approximately 100,000 gallons. A disastrous fire in February 1942 destroyed the original A. Carbone & Company warehouse at 1823 Wazee Street. The fire consumed an estimated 110,000 gallons of whiskey and wine. Exploding bottles of alcohol heated by the flames created a menacing challenge for firefighters. At the time, it was the largest fire in Denver’s history.